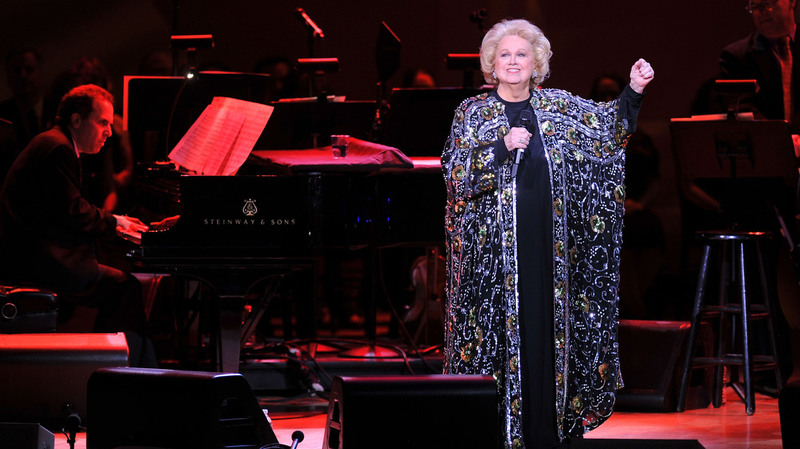 Barbara Cook performs at the 120th anniversary of New York's Carnegie Hall in 2011. 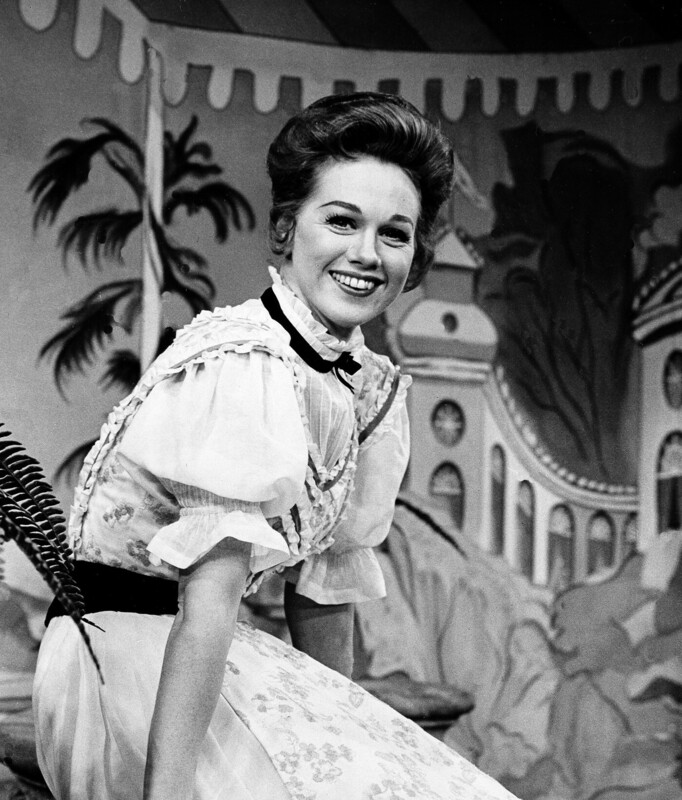 The Atlanta-born soprano started her Broadway career in 1951, but it was her 1956 role in Leonard Bernstein's short-lived Candide, with its popular cast recording, that ensured her immortality. In 2002, Cook told NPR that Bernstein's vocal demands were daunting. Cook appeared in The Gay Life, at the Shubert Theatre in New York in 1962. Cook's buttery soprano voice helped define show after show on Broadway. "I was counting the high notes in the score, and there were four E flats over high C, there were six D flats, there were 16 B flats and 21 high Cs. ... That's just unbelievable," she said. "It's unheard of. But that's what was in the score for me to sing and I did it eight times a week." Cook's next Broadway outing proved to be one of her greatest triumphs. In The Music Man, she played the spinsterish Marian, a librarian who falls for con artist Harold Hill, played by Robert Preston. Meredith Willson wrote the book, music and lyrics for the show, which he later realized was a thinly veiled autobiography. "One day, he came to me," Cook recalled. "He said, 'Oh ... I know who you are. I know who this character is.' He says, 'I wrote this and I didn't know it was my mother. This is my mother.' "
Cook won a Tony Award for that role. But actresses can't play ingénues forever and as the '60s drew to a close, roles became scarce. Cook succumbed to what she referred to as her "middle-escence," battling alcoholism, depression and obesity. She disappeared from the Broadway stage for five years. Then, in 1975, she reinvented herself as a highly regarded concert and cabaret artist. "High voices really don't express much. They're just beautiful and phenomenal," Holden says. "And it's low voices that you can really get into the dark side of things, or whatever you want to call it. And she goes there and puts all of her life into what she sings." Over the decades, Cook also developed her own philosophy and approach to performance. She said, "I think it's absolutely, totally important for a person, first of all, to hopefully know who they are as a performer and to choose songs that illuminate that person; and then to be present — to really, really be present." And for those lucky enough to be there, every minute was a thrill. A previous version of this story said Barbara Cook began her Broadway career in 1950. In fact, she made her debut in Flahooley in 1951.